Memories are to be kept forever with latest smartphones and high-end camcorders. Recording home movies has become even easier. So if you have a collection of these videos on VHS tapes, camcorders, iPhone, iPad or other devices, convert them to DVD. Home videos to DVD transfer creates their backup for emergency situations and also allows you to enjoy them on big screen TV. So for all your queries on how to convert home movies to DVD, we help you with the best solutions. There is no myriad of programs that facilitate home movies to DVD conversion, but finding the right one to meet your requirements is important. One such professional tool that comes with all needed functions is Wondershare UniConverter (originally Wondershare Video Converter Ultimate). Using the software you can convert your home movies to DVD from camcorder, iPhone, iPad, hard drive, flash memory, and a host of other devices. The software works at a fast speed and allows converting your videos to DVD files, folder, or ISO files. The built-in free DVD templates and designs facilitate quick customization of your videos. Background music or image of your choice can also be added to enhance the overall appeal. The DVD burning process is very fast and the real-time preview function helps to check the changes made. 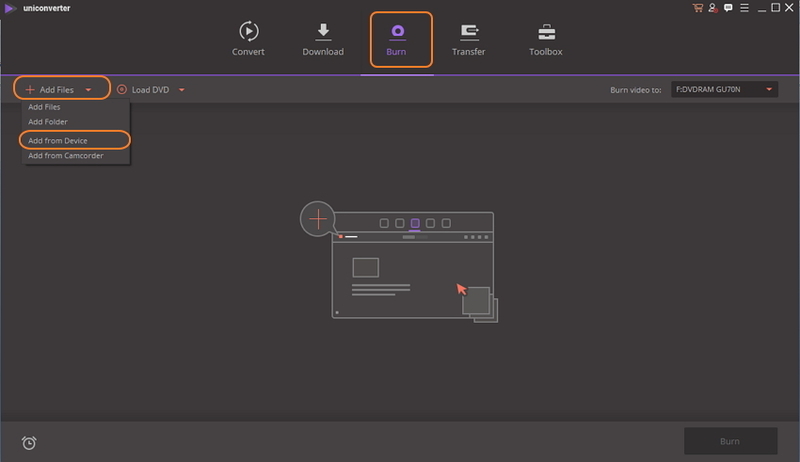 Wondershare UniConverter (originally Wondershare Video Converter Ultimate) supports latest and popular OS versions of Windows and Mac system. Step 1 Launch Wondershare home videos to DVD converter, connect the device and add videos. Download, install and open Wondershare UniConverter (originally Wondershare Video Converter Ultimate) on your PC/Mac. Connect your iPhone, iPad, camcorder or another device that you want the video to be transferred from with your computer. On the main software interface, go to the Burn section. Open drop-down menu at + Add Files > Add from Device and select the connected device. A new window showing videos on the device will appear. Select the video that you want to convert to DVD. Once a video is added successfully to the program, you can cut, crop, trim and perform other editing functions using the built-in-editor. The editing icons are present under the added video thumbnail. You can trim, crop videos, add subtitles and so on. Note: This editing step is optional. In case if you do not want to edit your videos, you can directly move to the next step. Step 3 Select DVD menu and enter DVD settings. On the right side panel of the software interface, move the left and the right arrow to check the template designs. Select the one as per your requirements. 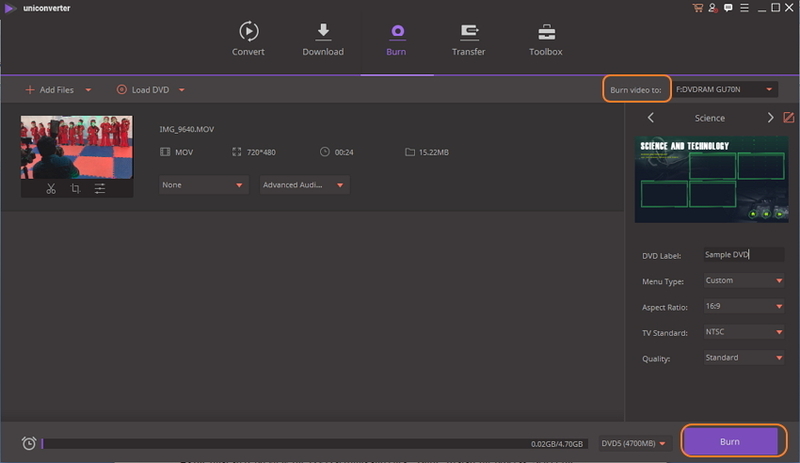 Once the template is set, enter DVD label and enter options for menu type, aspect ratio, TV standard, and quality. Step 4 Preview and convert home videos to DVD. As the final step, select the destination folder where you want to burn your videos at Burn videos to: tab. 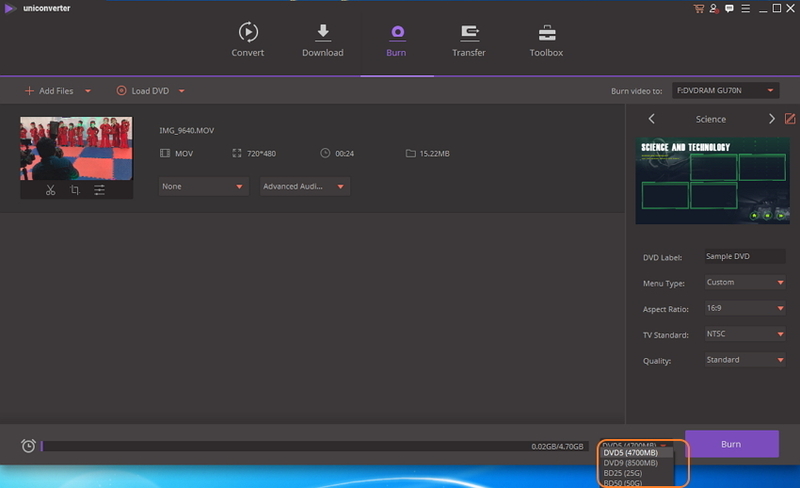 Preview the DVD settings and click the Burn button to start the process. Note: At the bottom-right corner, the drop-down menu shows the option for the disc type. For DVD conversion, the software selects the type by default. In case if you want to burn your videos to Blu-ray discs, select from BD25 or BD50 option. The present day gadgets like smartphone and tablets work as multipurpose tools and with their excellent camera quality has also taken over the role of video recorders to a great extent. But this was not always the scene. In earlier days, video cameras were used for capturing home videos which were saved to VHS tapes. So if you have found a collection of these VHS tapes or camcorder tapes from your old drawer and want to relive those moments, converting them DVD is the best solution. To help convert 8mm film to DVD at home, we bring the apt solution for you. A working VCR ( if you don’t have one, borrow from a friend or a family member. You can also buy an inexpensive 2nd hand model from an online store, garage sale or another store). RCA cables ( These cables come along with your DVD player, TV, or cable box). For this method, you would need a separate VCR and a DVD player with recorder facility. First of all, you need to make a connection between your VCY and DVD recorder using RCA cables. 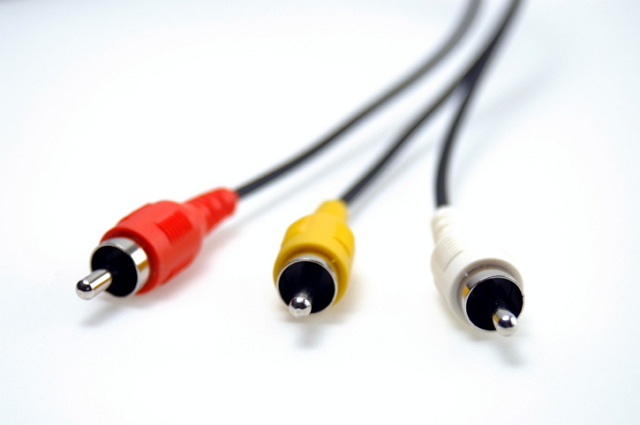 The RCA cable is color coded in yellow, red, and white and facilitates video as well ad audio transfer. Insert one part of the cable into the color corresponding output option on your VCR. The other part of the cable needs to be inserted into the color corresponding option of the DVD recorder input. Step 2: Insert the VHS tapes ( media files). Next, after ensuring that video head of the VCR is clean and working fine, insert the tape and play it. At this point also insert the blank DVD into your DVD recorder device. Note: In case if you do not want to record the entire video, set it to the mark from wehre you want the recording from. Finally hit the Play key on your VCR and record key on your DVD player. The VHS tape playing on VCR will start getting recorded on inserted DVD in your DVD player. 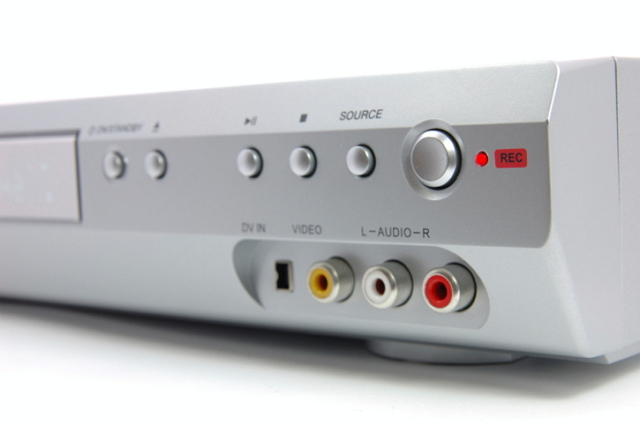 To check for any extra step or process for recording, refer to the DVD recorder manual. It is discussed in the above part of the article that VHS tapes to DVD transfer can be done using a DVD recorder in a simple manner. 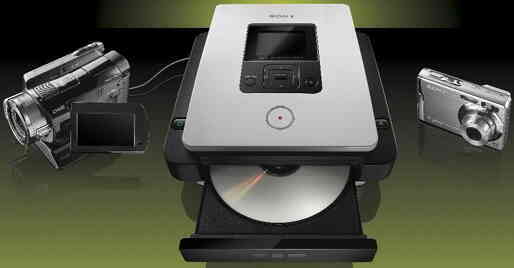 So if you want to turn home videos into DVDs using this method and look for a DVD recorder, we are there to help you. Below given is the list of top 10 DVD recorders available on Amazon. You can check the specifications and features of these models and go for the best-suited one. This is one of the best selling DVD recorders and comes with HD digital Single tuner. Using the recorder, you can also record over the air HD broadcasting programs. Its 500GB of hard drive allows recording 500 hours of HD content. If additional storage is needed, it can be increased using the USB port. Using this Magnavox model you can record to multiple sources including DVD, External HDD, and HDD. Option to pause and Rewind Live TV is also there. This is another best-seller on the list which is a combination of VCR and DVD recorder. Measuring 10.3 X 17.2 X 4 inches in size, it weighs around 9.33 pounds and features Dolby Digital Stream Out. The device allows1080p upconversion from HDMI output and also facilitates archiving home movies from VHS tapes to DVD. Line in recording through cable satellite box is also supported. The recorder has 5-Speed for the recording of up to 8 hours. Additional features include Hi-Fi Stereo, one-touch recording, and HDMI output.